The Lleyn has a stunning, unspoilt coastline and a markedly slower pace of life. One of Wales’ best-kept secrets and the perfect place to ‘leave it all behind’. The Llŷn (Lleyn) Peninsula, in Gwynedd, is found south west from the Isle of Anglesey. It stretches out for about 30 miles from North West Wales into the Irish Sea. It is another of Wales’ Areas of Outstanding Natural Beauty (AONB), meaning it is protected in terms of conservation due to its beautiful, unspoilt coastline. The Llŷn has a distinctive, unspoilt character and a personality all it’s own. It’s sunny southern coast draws walkers, wakeboarders and dinghy-sailors, while the ancient pilgrimage site of Bardsey Island, at it’s tip, is a haven for wildlife. If you’re looking for an ideal base from which to explore the Llŷn, look no further than our selection of holiday cottages Lleyn Peninsula. We have pet-friendly cottages, cottages for families and cottages for those seeking a romantic break. 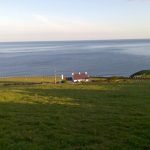 Or, if you’re looking for an outdoor adventure we have cottages located close to the rugged coastline and natural beauty spots. We’ve picked a few things to do when visiting the Lleyn Peninsula. But don’t take our word for it! Come and see for yourself. Visit Lleyn Peninsula and stay in one of our lovely Holiday Cottages in Lleyn Peninsula. The Paintball is situated with 30 acres of prime forest, where specially designed game zones have been created to give you the ultimate Paintball experience. 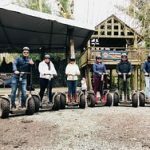 Segway Adventures offers fun for all the family, choose to glide through relaxing forest treks or take on the challenge of going off-road on one of the Rally Treks. Enjoy the thrill of gliding on a Segway X2, designed to put a smile on your face!! The Bear Grylls Survival Challenge is the perfect opportunity to share a truly memorable and fun experience. Discover and learn Bear’s key survival skills and techniques and then take on the ‘Escape from Cabin Wood’ challenge. Open all year!! 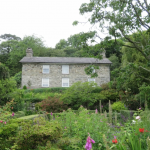 Explore our selection of Holiday Cottages Lleyn Peninsula. Walk this stunning part of the Welsh Coastal path from the Castle in Caernarfon in the NE along the pilgrim’s route to the beautiful church at Clynnog Fawr, and on to Trefor and the Iron Age hill fort of Tre’r Ceiri. 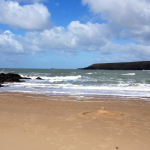 Walk the sandy beaches of Nefyn, Morfa Nefyn and Porth Dinllaen, and Porth Penllech and Porth Oer/Whistling Sands as you head to Uwch Y Mynydd – the Lands End of the Llyn and overlook the tranquil island of Ynnis Enlli/Bardsey island. Stay a while and explore more and continue your walk allong the southern coast to Abersoch, Llanbedrog, Pwllheli, Cricieth and Black Rock Sands and Porthmadog. If you’re interested you can stay with us a few days at our B&B and we will happily provide the daily shuttle service to and from any point on the walk from Clynnog Fawr to Pwllheli. That takes all the hassle out of organising your walk and you will stay in some luxury with us. Known for its famous ‘Whistling Sands’, this secluded gem of a beach is one of our most perfect beaches in Wales. You cannot help but be captivated by its beauty. Explore a great family beach and enjoy a great place to relax. The English name for Porthor,’Whistling Sands’, is derived from the squeak or whistle emitted by the peculiar shaped sand particles being rubbed together when walked on in warm weather. The sound can be made by stamping or sliding the feet on dry sand. This is a wonderfully sandy beach that is perfect for sunbathing and swimming. The shallow sandy beach stretches out into the bay and is ideal for swimming or paddling. There is an excellent cafe on the beach and the coastal path runs in both directions for a great walk. A delightful manor house with ornamental garden and wonderful views. The view of Hell’s Mouth from the car park sets the tone for any visit. The woodland walk is a floral delight, the gardens are colourful and vibrant with a profusion of wisteria and rhododendrons. The house itself is full of interest and the room guides provide fascinating extra insights into the history of the place. A longer walk to the croft is also well worth the effort. The on site cafe is extremely handy for decent coffee and a light lunch. Keep up to date with our special offers, promotions, featured cottages and much more!